LPR is a group of musicians searching for new and unique ways to expand the boundaries of Rock music. The band formed approximately eight years ago, and after a nearly two-year hiatus, the now four-piece is excited to get back on stage, with an entirely new set of material, more intricate and more expressive than ever before. LPR has two full-length LP’s, “Flower Power Evolution” (2011) and “Lucid Being” (2013), and one EP, “Sounds of Rainforest Monkeys” (2012). The new album is sure to put LPR at the forefront of the indie rock industry’s emerging artists. 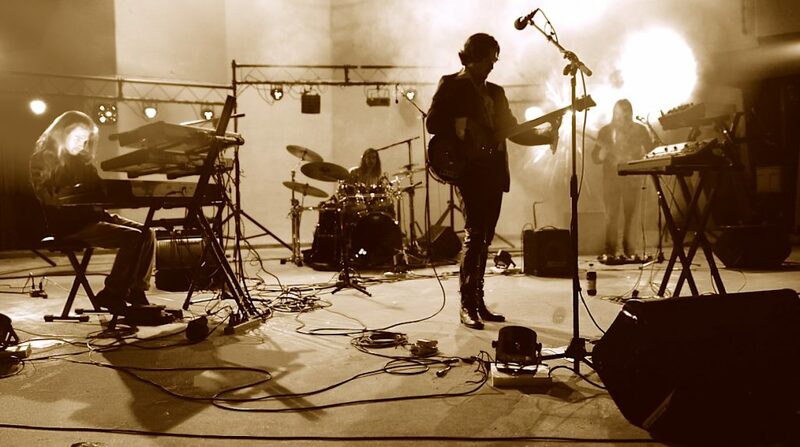 The band was always incorporating funk and blues into their psychedelically infused rock, but now progressive rock and acapella elements have given the band a quality reminiscent of the bands Yes, King Crimson, and Pink Floyd. The members of this group are all professional musicians in their own right, with an unparalleled understanding of music in general as well as each other’s idiosyncratic tastes and styles. LPR hopes to inspire a unique audience, bringing their intriguing blend of various genres to the eager ears of those craving new music. DATE: Friday, May 20, 2016, doors open at 7:00pm, show starts at 8:30pm. Ticket sales closed – contact a MK member for info on attending.